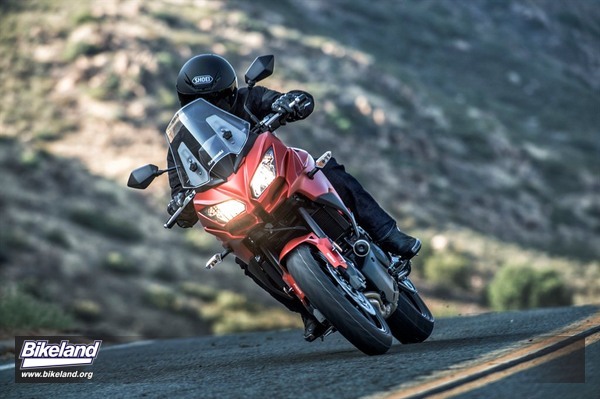 Is Fall a better time to buy your next motorcycle? It’s the end of the season. You’re waiting to see all the new 2017s at the shows or on Bikeland before mulling what your new scoot choice will be next spring. Waiting may make sense but manufacturers are cutting sweet deals on 2014s, 2015s and 2016s right now. One segment that caught our eye this Fall: Mid-Size Adventure Bikes. The enthusiast riding ranks (including us) usually believe what’s coming will be bigger, better or both. Perhaps... Ironically, prospective ADV bike buyers are hearing the next “big thing“ from many companies, may be, well - not so big. More “mid sized” adventure bikes are rumored to be in the pipelines. 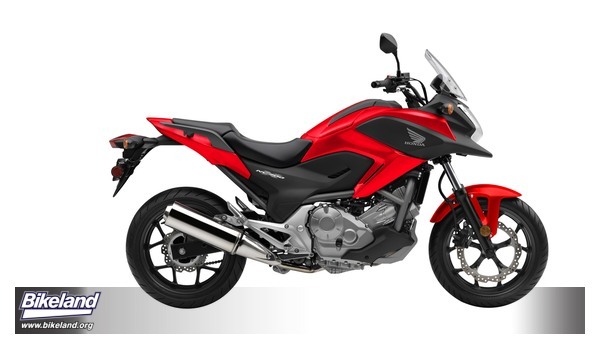 Honda’s 1000cc Africa Twin and KTM’s new 1090 are the vanguard of that direction. And lets be clear … smaller won’t necessarily mean better “dirt” potential for the few who actually attempt more than unpaved roads on 500+ pound motorcycles. Smaller ADV bikes are the industry (and owners) acknowledging that those who don’t frequently ride two up or at high altitude really don’t need 120-140HP, and the price tags that come with. Riding “small” bikes of any style hard is more fun than riding big ones slow. Besides the weight, why pay for huge displacement engine performance only to neuter it with electronic power reduction features? Perhaps it’s why mid size ADV bikes are the personal purchase choice of many moto journalists and industry insiders. If you haven’t ridden a 650-700-class adventure style bike, now may be a good time to try one. Bikeland just did and came away impressed. Although they’re all comfortable, fun and versatile these models each offer a different mid-size ADV experience. Suzuki’s much revered 90-degree Vee twin engine with its long-ish wheelbase is big on comfort and a very stable platform to load on. The Honda NC700’s, torque-centric, parallel twin redlines at a low 6,250 RPM. It offers low CG and an impressive 22-litre integral storage “trunk” . There’s also a DCT version with ABS. Kawasaki’s high revving Versys 650 has a sporty chassis with highly adjustable suspension. We were already pretty familiar with the NC700X models and Suzuki’s 650 V-Strom but we hadn’t sampled the 650 Versys since Kawasaki updated it in 2015. We’re glad we did. 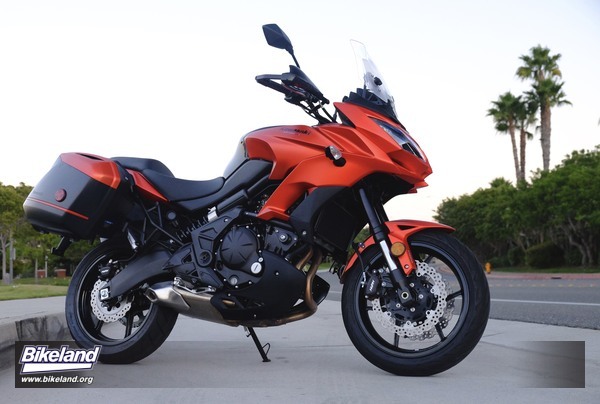 Our Versys was a 2016 650 KLT package which includes hand guards and Kawasaki’s color matched, quick detach saddlebags. MSRP is $8,899. 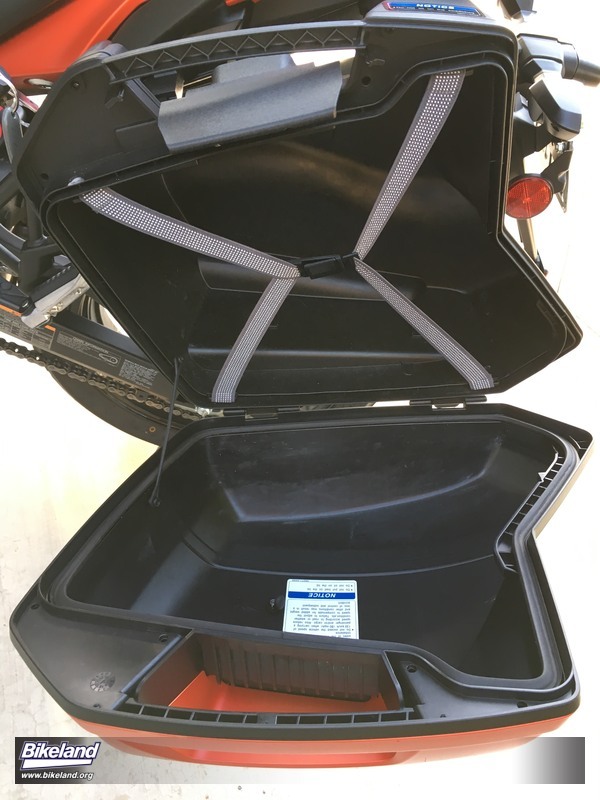 The Versys 650 ABS without bags or guards retails for $7,999. Both models feature anti-lock brakes. A less touted feature on the KLT version though is a 24-month warranty, double the length of the non-LT version. 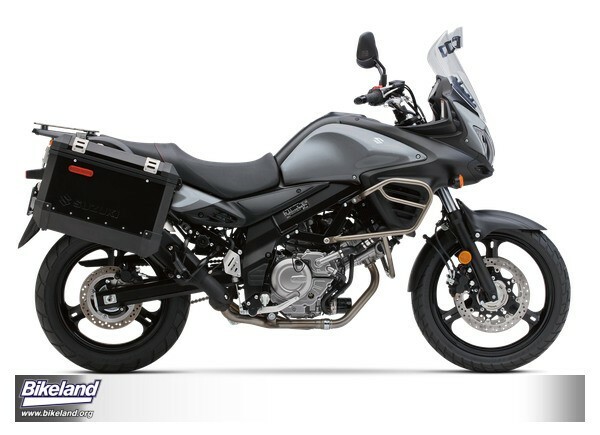 In a nutshell, the Versys 650 KLT is a great Leatherman tool of mid size motorcycle,. Easy to live with and fun to ride. 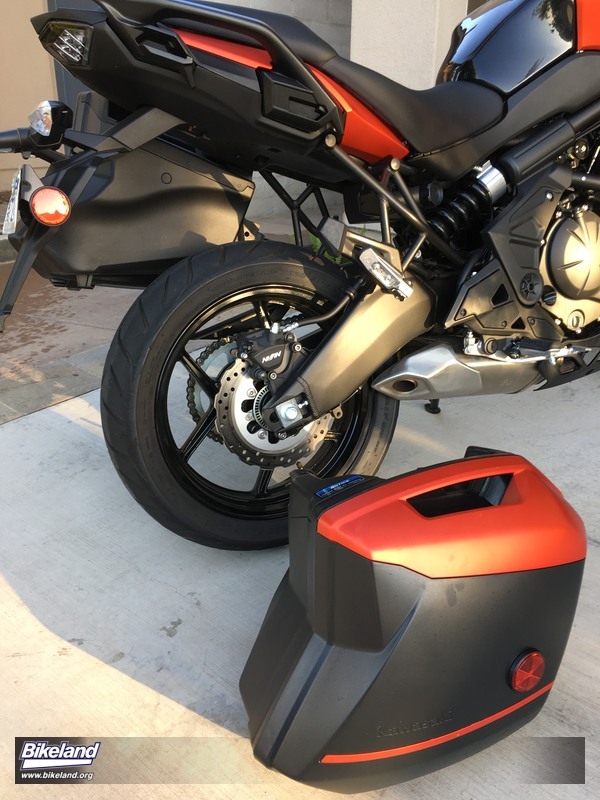 The 28-litre saddlebags are easy to mount/ dismount and stand upright while off the bike. The bags can stow riding pants, a jacket and boots. They won’t accommodate a full-face helmet but there’s two helmet hooks under the lockable seat. 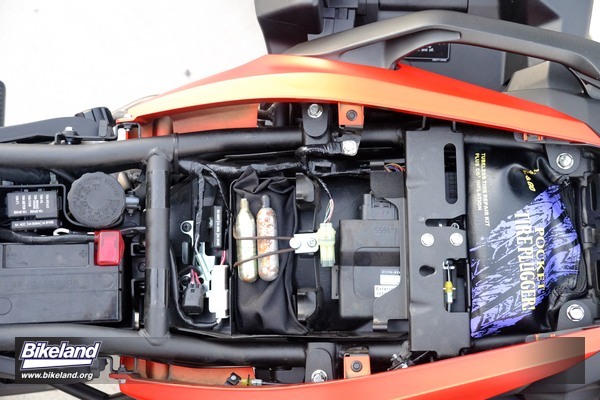 Underseat room has designated space for the included tool kit, owners manual and an optional Kawasaki U-Lock. There are additional nooks and crannies that accommodated our small tire plug kit and some C02 bullets as well. The seat is well contoured for both rider and passenger and didn’t give any adverse indicators after our longest ride of 120 miles. 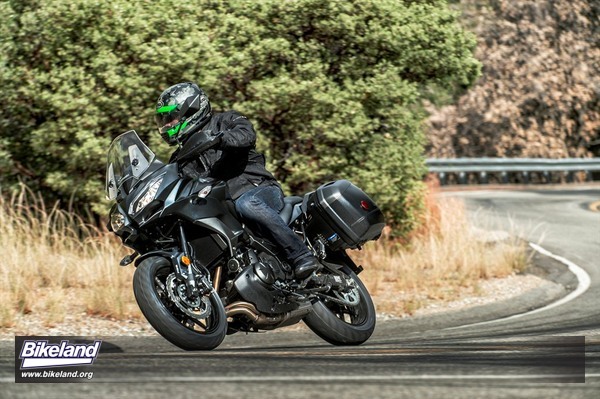 The Versys accommodates a wide range of rider sizes. Our 6-foot tester had plenty of knee room while the seat’s 33.1” height and shape allows footing for lower inseam folks too. 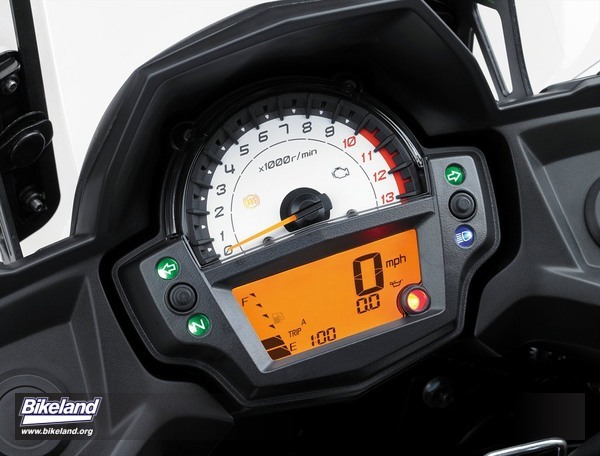 The Versys is designed to be quite adjustable. Windscreen height can quickly be varied up to 2.4 inches with simple knobs. Wind coverage was good and helmet buffeting minimal on our tester in the upmost position. 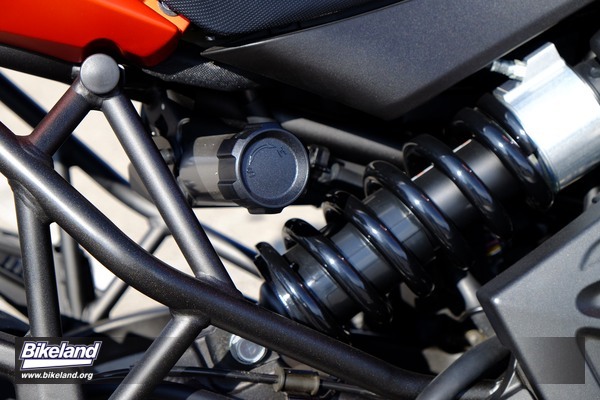 The Showa suspension features 20 clicks of front compression adjustability and three for rebound. They can be adjusted with a coin if you don’t want to break out the nicely detailed tool kit. On the rear, a 24 -point shock preload knob is easily accessed while riding and we found ourselves enjoying it often. 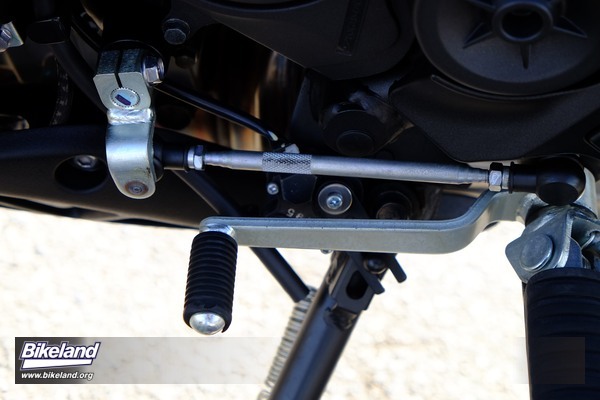 Clutch and front brake levers are adjustable as is shift lever height with a Johnson rod linkage that’s thoughtfully knurled to allow easy single wrench adjustment. Like most ADV bikes, the seat, peg and handlebar layout is neutral and upright but the ride is very sporty and agile. At 55.7 inches this is a short wheelbase machine with a relatively quick 25-degree rake angle. It’s about five to six inches shorter and up to two degrees steeper than other bikes in the class. Handling is light and intuitive with effortless slow and medium speed tip in. Around town the bike feels lighter than its listed 476-pound curb weight. The chassis is well matched to the 17-inch wheel & tire sizes. The suspension effectively handled Southern California’s abysmally neglected streets and roads. The suspension and handling adds a unique sport riding dimension to the commuting, touring, and back road exploring most adventure bikes do so well. 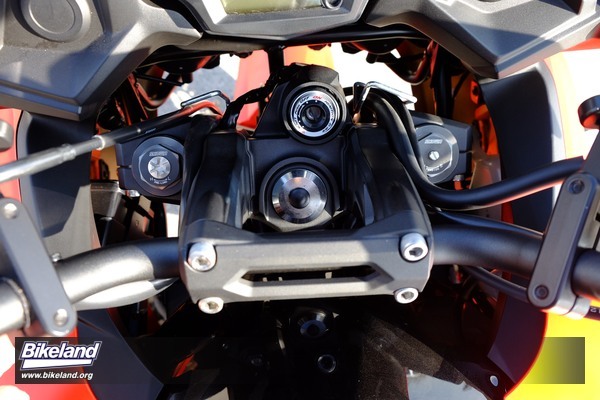 The 270-degree parallel twin builds revs quickly with sufficient torque to pull away cleanly from 3,000 rpm in top gear. The close ratio six speed encourages spirited sport riding and features a positive neutral finder which prevents overshifting from first to second when stopped. Perhaps because of the lockout the shift lever throw is longer than we’d like especially when downshifting into second and first. It’s also not quite as smooth as some of Kawasaki’s other offerings but we never missed any shifts. Trans ratios are focused on the high side with low gear sufficient to assist any owners who may take the off road styling seriously. Off roading isn’t something we recommend with bikes in this class but if fitted with more aggressive tires, gravel and fire roads shouldn’t be a problem. The overall final drive ratio is also on the low side with the engine turning 5,000 RPM at 65 mph. With a 10,000 RPM redline, the engine isn’t stressed but does feel busy at highway speeds. For those who like a calmer cruise feeling, Versys owner forums report positive results switching to a two or three tooth smaller rear sprocket. 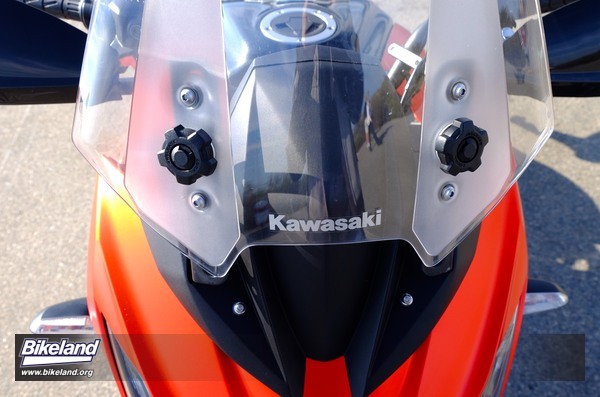 Kawasaki introduced rubber engine mounts in 2015. A little buzz still gets through at high revs but is mostly unremarkable. Mirror images are good though their stylish angular shape could be a bit larger for our liking. An easy swap if so desired. Throttle response is linear and predictable. At medium velocities, if you’re coming from a four cylinder, flywheel effect on twins tuned for power like this can require some acclimation to achieve seamless throttle, clutch and shift coordination. The ABS equipped brakes are not race level components but are plenty strong and give progressive feedback. The fronts especially, work well with the steering geometry to facilitate confident, arc-altering trail braking. LCD instrumentation with a dominant analog tach is straightforward and compact. Niceties like average MPG rate and miles-to-empty are included. An ECO light advises when fuel consumption is presumably optimum; we paid it no attention and averaged 48 MPG over a variety of riding conditions. We’d have preferred an air temp gauge or the optional gear indicator instead of an ECO light but at this price level they can be owner added for reasonable cost. And cost is the relevant point right now. 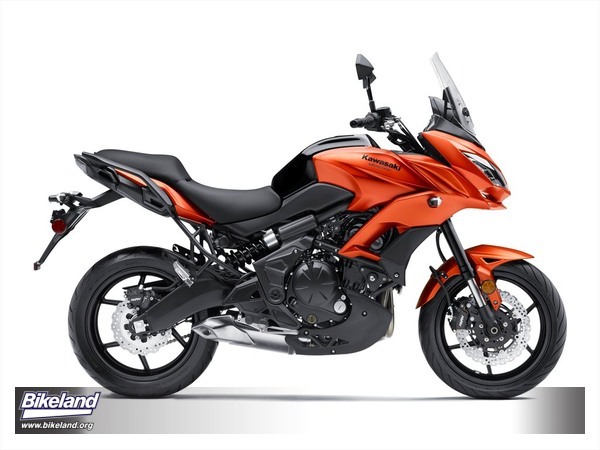 At $1,000 off MSRP and the $405 value of 12 months extra factory warranty the 2015 Versys 650KLT is currently the best bang of the mid size bunch so far this Fall. If you typically keep your bikes more than three years, Fall buying can make good sense. Nice style—we prefer the bigger view of round ones but they’re easy to swap. Room for a tire plug kit and some CO2 bullets plus a Kawasaki optional U-Lock (not shown). Attention to detail even includes finger grip knurling for the shift lever height adjustor rod. 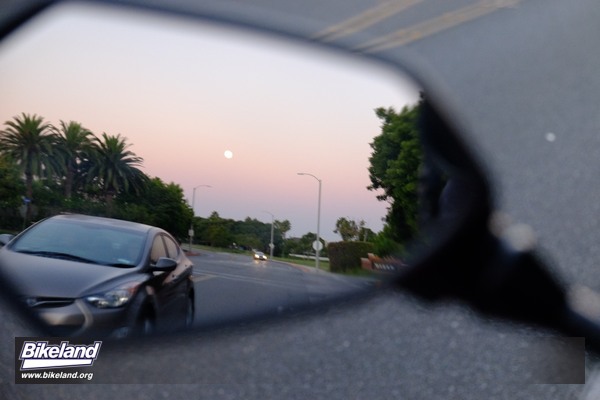 Windshield adjusters—and no you shouldn’t use them while underway.